The BOSWORTH Manuscript is back from editing, and the editorial suggestions have all been reviewed and adopted. The final script is just shy of 71 thousand words—it shed a couple thousand words in editing. I’ll be reading through it one more time by myself, “listening” for awkward phrasing or cadence before I send it to the designer. Jamie will select a font for the print edition and layout the interior, making sure the words wrap well in my selected book size. I’ll be using an 8-inch by 5-inch format, perfect bound, with a gloss color cover. Meanwhile, I’ll put together the front matter and back matter pages—these are things like the title page, the copyright warnings, acknowledgements, and so forth. Once that’s done, I’ll work with a second editor, acting as a proof reader, to look for residual errors in both typos and the print layout. As we do that Jamie will use the image I provide to make the cover design. 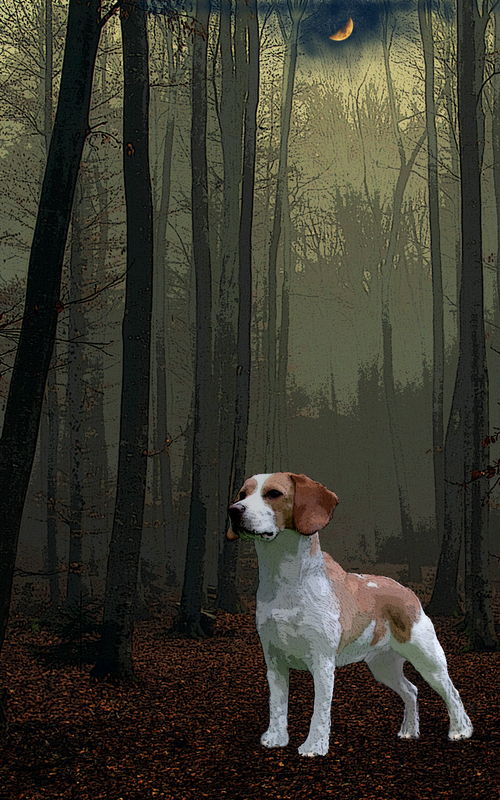 Cover image by Paola Sbriccoli The image uses a combination of drawings and adapts and extends (through drawing) the photo of a beagle by Claude Valroff, openly shared for use and adaptation on Wikipedia. The photo was of a female dog, but I don’t think Bo (the dog in the book) minds so much. Bo was named after one of my mother’s dogs.